G-DRAGON IS V.I.P: BIGBANG: KPOP IN THE WORLD!!!! HOLA A TODOS LOS VIP´S DEL MUNDO QUE VISITAN ESTA PAGINA. VAN A DECIR QUE QUE DISTRAÍDA SOY PERO COMO SOY LA UNICA ALMA QUE REALIZA ESTE BLOGG ES NORMAL QUE SE ME PASEN ALGUNAS COSITAS =^_^=. 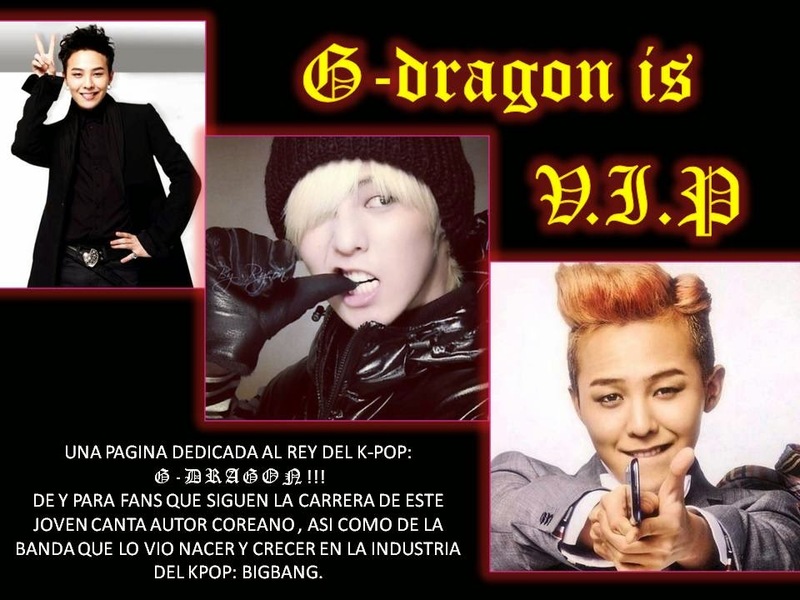 EL PASADO 6 DE FEBRERO LA PAGINA "G-DRAGON IS V.I.P" CUMPLIÓ SU PRIMER AÑO DE VIDA!!!! MUCHAS GRACIAS A TODOS LOS VIP´S Y AMANTES DEL KPOP QUE ME HACEN EL HONOR DE VISITAR ESTA PAGINA. Y MAS VALE TARDE QUE NUNCA, ME GUSTARÍA FESTEJAR DE UNA MANERA MUY ESPECIAL ESTE PRIMER AÑO; AUNQUE LA PAGINA ES UN TRIBUTO A LOS INTEGRANTES DE "BIGBANG", ESTA VEZ QUIERO HACER UN HOMENAJE AL K-POP Y A TODOS LOS AMANTES DEL MUNDO DE ESTE GENERO. Y CUANDO DIGO "MUNDO" LO DIGO LITERALMENTE PORQUE ESTE GENERO MUSICAL HA LLEGADO A TODOS LOS RINCONES DEL PLANETA, SE ESCUCHA EL LOS 5 CONTINENTES, SE CONOCE AL MENOS UN GRUPO DE K-POP EN UNA CIUDAD DE CADA PAIS DEL MUNDO, SE BAILAN COREOGRAFÍAS EN CADA PLAZA IMPORTANTE DE LAS CIUDADES MAS IMPORTANTES DEL MUNDO.... NO ME CREEN??? PUES CHEQUEN ESTO POR FAVOR!!! !